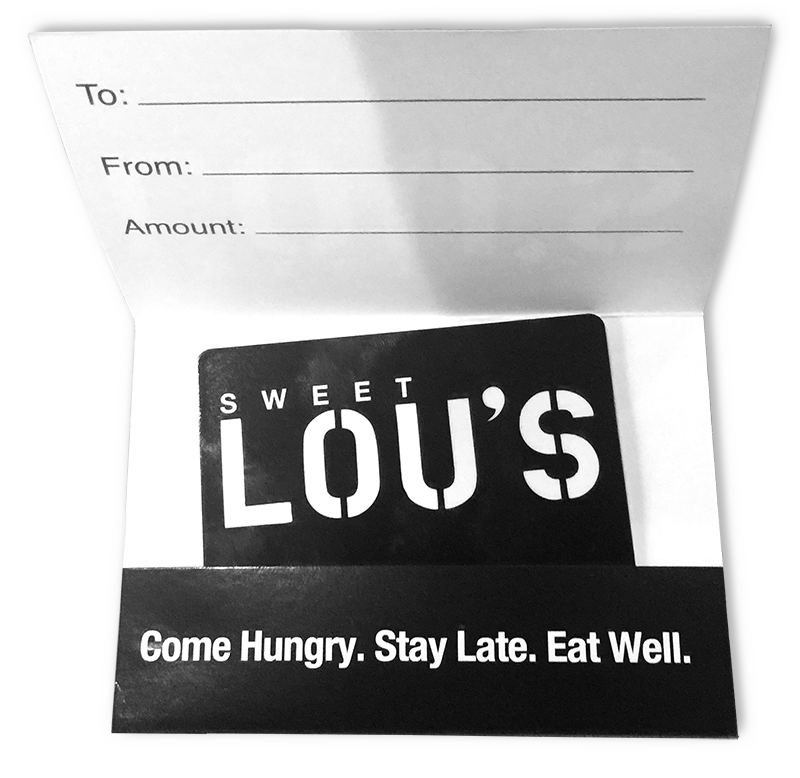 There's something for everyone at Sweet Lou's. Ninety-five percent of what we offer is made in-house. We hand-batter each onion ring, cut every steak, and smoke all of our salmon, pork, and ribs—including bison ribs—right here in the kitchen. Those ribs are covered in homemade barbecue sauces and served along original-recipe side dishes such as smoked baked beans and horseradish mashed potatoes. All of the ten unique burgers on the menu are made from freshly ground top sirloin and put into combinations that will make your mouth water. For instance, for the 60/40 burger, we ground beef and bacon together in harmony creating the ultimate bacon cheeseburger.